As prices break upwards out of their accumulation bottoms and confirm uptrends, the old trading adage of “buy the dip” becomes essential once again. Similar to Isaac Newton’s first law of motion, a body (or trend) in motion has a tendency to stay in motion. To elaborate, as a coin confirms an uptrend, a pullback in price should be seen as an opportunity to add to an underweight bag or enter a position as long as the uptrend remains intact. An uptrend is defined simply by a series of higher highs and higher lows visualized on a chart. The goal of trading and investing is to buy low and sell high. Although it may seem counterintuitive at first to buy a coin that is falling in price, these purchases are often the most profitable. Until the trend reverses on higher time frames, which would be indicated by a series of lower highs and lower lows, reverse engineer your brain to view red candles as chances to pick up a coin at a discounted rate. There is a likely chance some coins you are not holding at the time will go on incredible runs right in front of your eyes. Although these rocket ship green candles may be enticing, they are often very unsustainable and often retrace back to support shortly after. The cryptocurrency markets are still very akin to the Wild West; pump and dump groups are still capable of sending prices to unbelievable heights in a premeditated manner. There are two parts to a pump and dump, and the latter is not something that makes these events worth taking a chance on. FOMO, the fear of missing out, will run rampant through market participants who are the fuel needed to bring prices higher, so those who bought lower can sell their coins and actualize their profit. Remember, as stated in the previous tip, our goal is always to buy low and sell high. There will always be another pump. Remaining calm and letting the market come to your coin will always be more profitable than jumping from coin to coin trying to catch the end of a fleeting green candle. After being handsomely rewarded for waiting for your coin to move upwards, it may be tempting to hold onto a winner, regardless of the new size of the bag in comparison to the rest of your allocations. Remember, always pay yourself. Profits look great on paper but are only real when actualized. Trimming the hedges on coins that have experienced stronger gains in relation to your other coins provides one with a great opportunity to enjoy the magic of compound interest. Not all coins will move upwards in unison, and some will hang out closer to their bottoms longer than others. These coins are your chance to put your profits to work. Although you may not experience a 10x gain on a single coin, a collection of coins, properly redistributed, can yield the same results. In regards to the previous tip, it is always a good idea to hold on to a portion of a coin that you may think has seen the end of its leg upwards. There is no better time for developers and CEOs of coins to release bullish fundamentals on their project than in the middle of an alt season. Because of this, coins can react to catalysts we may not expect, events that may increase demand substantially and cause price to rise again. We want to be a part of these surprise explosions in price, even if the bag in question is only a remnant of what it used to be. 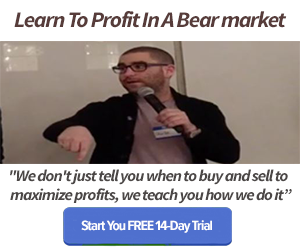 In fact, the best way to take profit is to do so over a span of prices and times. Selling all of a coin at once cements your sell to a single price, increasing the chance that the price moves higher after your sell has executed. The optimal way to take profit and to buy for that matter, is by “scaling in/scaling out.” This means spreading out your orders over a span of prices, increasing the average price you sell your coin, while reducing the chance the market turns around before you have the chance to sell any of your coin. Checking your investments and seeing them appreciate at such a rapid pace feels great. The allure to check your phone or laptop to see how your coins are doing may grow stronger than you anticipate. There is nothing wrong with taking a strong interest and managing your holdings often, but this brings with it the risk of obsessive behaviors that can be detrimental to not only your personal life, but also your trading and investing as well. Constant tinkering with your portfolio or trade setups may seem productive at the time, but your original, thought out plan during the lower activity period of the bear market exists for a reason. Stick to it. Don’t let the excitement of a random altcoin pump you know nothing about entice you into selling a coin you believe in and have done research on. This will often result in your coin appreciating the next day while the random shiny coin that was up 100 percent the day before is now half the price you bought it for.